This book consists of fourteen chapters covering important aspects in regards to various terrestrial ecosystems, wetlands, river systems, mine site rehabilitation, marsh ecology and heavy metals pollution. The authors were carefully selected from multiple countries, and this edited book aims to fill some of the information gaps in ecological restoration, particularly in under-researched ecosystems around the world. Our intended readership includes: planners of projects to restore and manage degraded ecosystems; practitioners who implement those plans; resource managers who oversee the sites; land management consultants; environmental authorities; and conservationists and students of natural resource management. We also hope that researchers and the public can find valued information for their future use and efforts. We hope that our work can bring scientists and policy-makers together to envision a sustainable future for ecosystem health and productivity management. Chapter 3. Restoration, Reclamation, Remediation and Rehabilitation of Mining Sites: Which Path do we take through the Regulatory Maze? "This book contains a wealth of information from a range of restoration case studies across and in various different contexts. This highlights the remarkable adaptability of restoration, restoration techniques and processes. It is exciting to see. Restoration as a science, business and practise has developed by leaps and bounds over the past two decades. This book is a testimony thereof. Restoration-thinking and approaches can be applied in drylands (Iran), wetlands (UK), salt marshes (Australia), with respect to dealing with toxins at mining sites, and in many other contexts. Based on the above there is therefore no more place to hide, no excuses, for not to embark on a global restorative development trajectory. Choices, however, has to be made. To do so, society has to decide and actively engage with such a trajectory. 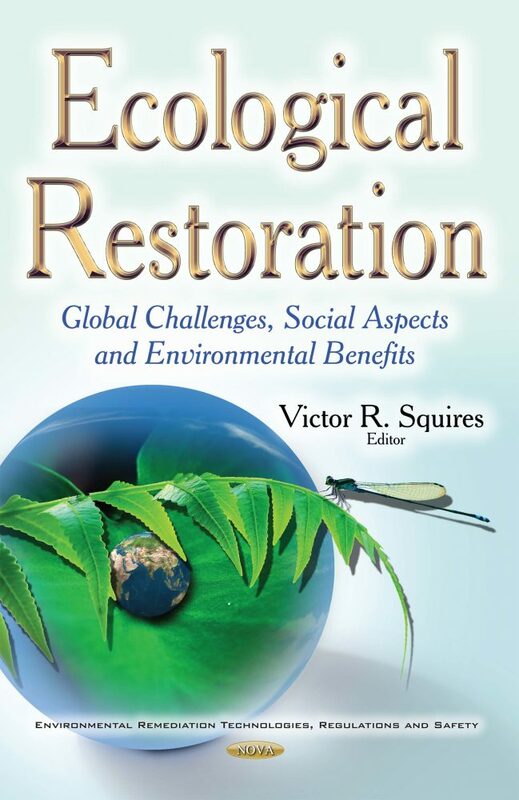 While the chapters in the book highlights the bio-physical and practical aspects and processes with respect to restoration in contexts including China, Iran, the UK and Australia, to mention but a few, it does not engage with the topic of societal choices. Choices that is based on societal preferences, that, in-turn, is based on a societal vision of the future for a land parcel, the costs, benefits, needs, and efficiencies. These aspects have been largely excluded or, at best, only in part or in passing addressed.